It is necessary to go through Samaria.steemCreated with Sketch. Greetings my brothers of steemchur welcome to my bolg. 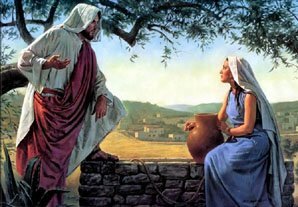 "And they said to the woman: We no longer believe only because of your saying, because we ourselves have heard, and we know"
There is no doubt that the testimony of the woman was very shocking to all the people who knew him in his city. Such a radical change had to call them attention. And even more the strength, the enthusiasm and the conviction with which he spoke of Jesus. This was the first reason why the Samaritans believed in Jesus. And normally, it's always like that; We came to Jesus because someone told us about him. But once the first encounter between Jesus and the Samaritans took place, they should have immediately verified that there was something special about him, so that against all odds "they begged him to stay with them," something the Lord agreed to. . This was something unusual, since as we saw at the beginning of the chapter, the Jews and the Samaritans did not treat each other. It was then that they were able to meet Jesus personally, and in their own analysis they came to the conclusion that he was "the Savior of the world, the Christ." And they wanted to make it clear that although they had initially approached him because of the woman's testimony, they finally came to believe because they had personally heard Jesus. And every man must also come to his own personal encounter with him. Our faith can not be placed in what others have told us about him, but in his "word". At the end of the passage all the Samaritans agreed that Jesus was the "Savior of the world." This was also a very important step, especially if we take into account the religious rivalries between Jews and Samaritans. They came to understand and accept that Jesus was not a Messiah exclusively of the Jews, but of the whole world. What a great fruit the short ministry of the Lord had among the Samaritans! 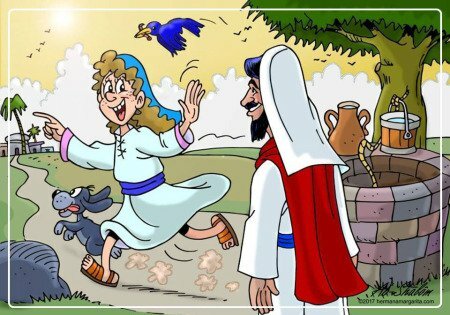 Now we understand why it was necessary for him to pass through Samaria.